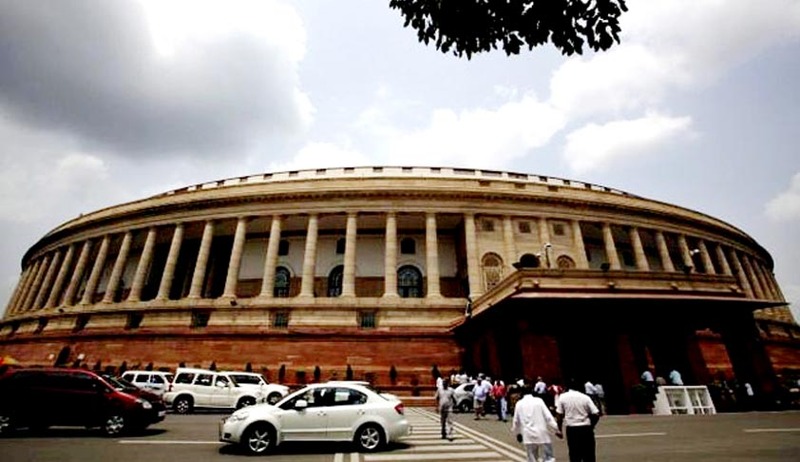 The passing of the Constitution (One Hundred and Twenty Second Amendment) Bill, 2014 relating to Goods & Services Tax (GST) by huge consensus in the Rajya Sabha was the hallmark of the third week of Monsoon Session of Parliament. The amendments made by Rajya Sabha in the Constitution (One Hundred and Twenty Second Amendment) Bill, 2016 as passed by Lok Sabha and as reported by the Select Committee of Rajya Sabha, have been now laid on the Table of the Lok Sabha and will be taken up by the House next week. The Rajya Sabha passed five more Bills during the last week which included Institutes of Technology (Amendment) Bill, 2016; Benami Transactions (Prohibition) (Amendment) Bill, 2016; Indian Medical Council (Amendment) Bill, 2016; Dentists (Amendment) Bill, 2016, and National Institutes of Technology, Science Education and Research (Amendment) Bill, 2016. All these Bills have already been passed by the Lok Sabha. The Upper House, during the week, also held discussions on developments in States of Uttarakhand and Arunachal Pradesh leading to change in the Governments there and role of Governors in respective States, and also on alleged diversion of money from Employees Provident Fund to Stock Market. The Lok Sabha, during the third week of the session, passed the Enforcement of Security, Interest and Recovery of Debts, Loss and Miscellaneous Provisions (Amendment) Bill, 2016. It also voted in full the Supplementary Demands for Grants (General) 2016 – 17 and passed the relevant Appropriation (No 3) Bill, 2016. The House also held discussions on Sustainable Development Goals, and Pradhan Mantri Gram Sadak Yojana. During the forthcoming week of the Session, Lok Sabha will take up the Central Agricultural University (Amendment) Bill, 2016, the Employee's Compensation (Amendment) Bill, 2016, the Transgender Persons (Protection of Rights) Bill, 2016, the Citizenship (Amendment) Bill, 2016, and the High Courts (Alteration of Names) Bill, 2016. It will also consider the amendments made by Rajya Sabha in the Enemy Property (Amendment and Validation) Bill, 2016, as passed by Lok Sabha, after it is passed by Rajya Sabha. The Mental Health Care Bill, 2013, after it is passed by Rajya Sabha, may also be taken up by the House. In the Rajya Sabha, the Mental Health Care Bill 2013 and the Enforcement of Security Interest and Recovery of Debts Laws and Miscellaneous Provisions (Amendment) Bill, 2016 will be taken up. The Enemy Property (Amendment and Validation) Bill, 2016, as passed by Lok Sabha and as reported by Select Committeewill be taken up by the Rajya Sabha. Time has also been allotted for the following Bills which are likely to be taken up by the House after passing in the Lok Sabha – the Central Agricultural University (Amendment) Bill, 2016; the Employee’s Compensation (Amendment) Bill, 2016; the Transgender Persons (Protection of Rights) Bill, 2016; and the Citizenship (Amendment) Bill, 2016, the High Courts (Alteration of Names) Bill, 2016. Consideration and return of the Appropriation(No. 3) Bill, 2016 relating to Supplementary Demands for Grants (General) for 2016-17, as passed by Lok Sabha, will also come up before the House.